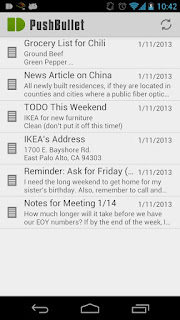 PushBullet (Android) - Push notes and reminders to your phone ~ Android Forever! 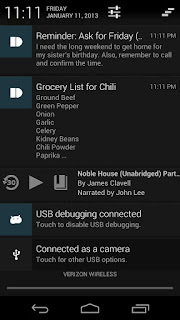 Developer Quote: "PushBullet makes it easy to push notes, lists, reminders, addresses, and more to your Android phones and tablets." 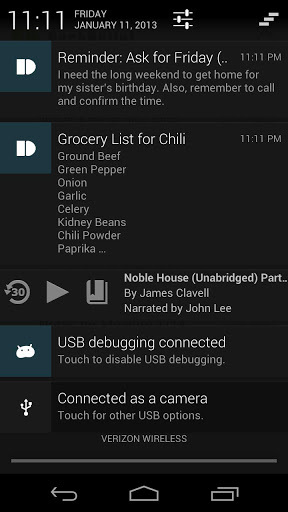 PushBullet allows you to send notifications to your Android device from the web. Lists, addresses or notes and reminders can be sent from your PC through the PushBullet web site to your device, through your Google account. 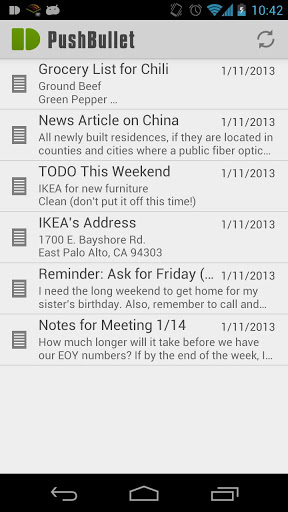 It can be a super useful way to get quick notes to your phone. Check it out!